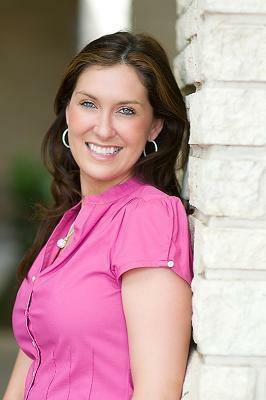 Tonia Tomlin is a professional organizer in Texas and founder of Sorted Out organizing service in Plano, Texas. Tomlin took time from her schedule to chat with Love To Know Cleaning's Heather Long about the organizing and consulting service she offers to help clients reclaim their lives from disorganization. Looking for a professional organizer in Texas? Your first stop would be the same as Tonia Tomlin's when she got started: National Association for Professional Organizers (NAPO). In this interview, Tomlin offers a candid look at her work, her choices and a career as a professional organizer. I was working as a mortgage banker and I was extremely well-organized. Lots of my co-workers, friends and family noticed how organized I was and would ask me how I did it. I got to thinking about the fact that I was really good at this. I wondered if I could do this. I looked up professional organizer on Google and discovered NAPO. I couldn't believe it - did people really do this for a living? I found that NAPO was celebrating its 20th anniversary when I discovered it and that was nearly six years ago. I went to a chapter meeting in Dallas; I knew that it was what I wanted to do. How long did it take you to get started? It took me about a year to get educated. I was able to multitask well because of my organization, but I learned a lot about starting my own business, teaching what I know and getting insured and bonded. I felt very strongly about being insured and bonded because I wanted to provide my clients with the best possible service and work without worry for injuries. I got involved with Mission: Organization on HGTV. My business began to gain momentum. I firmly believe that if you are doing what you love, it will happen for you. When it comes to professional organizing, the average lay person may not understand what a professional organizer can do for them personally. Tonia Tomlin works with an assistant and two other full time organizers via her business Sorted Out. She believes in matching the needs of her clients to the right organizer. She's worked with children, adults, professionals, homemakers and businesses to accomplish their organizing needs. The most common questions are usually associated with what I am organizing. For example, when I am working on a home office set up, my clients want to know why they have to do things; how can I possibly change their habits? They also ask questions about how long should they keep utility bills? To the first questions, I ask them: are you happy with your office? Are you satisfied with it? If you're not, that is how you begin to change your habits. To the question about utility bills, if it's over 10 years old, you can shred it. You'd be amazed by how much paperwork people hang onto that they just don't need. I think every home office whether you manage your household or work from home can use a paper shredder to help reduce the detritus of old bills and paperwork. What type of jobs are you working on currently? I was hired by a physician who is going through a divorce. The couple has children and lived together for many years. So now he has to organize his household into two. That includes separating out a lot of the children's things and toys, packing up the wife's things and sorting them out. We not only help the physician make the choices, but we also do the physical organizing. In the case of the doctor, he just doesn't have the time to do it himself. As a professional organizer, I am helping relieve his stress. I've worked with kids. I worked with one young girl to help her take ownership of her things. She just had so much stuff and clutter. I had to build trust with her so that she could make the choices on what she would keep and what would go. We donated a lot of toys that she didn't play with or didn't really want, but the hardest lesson is to work through the psychology of why do you want to keep that? Or is it really important? What is a typical assignment? I get a lot of home office solutions, work station design, and file system creation projects. We work with clients to create a positive workspace that is clean and neat. We also work on kitchen reorganization as well as pantry organizing. We're not a maid service; we're not coming in to clean. We do an initial one hour consultation where I can sit down and talk to the client, get a feel for their needs and explore what we can do for them. Working with clients becomes very personal. It's not just things, but your personal possessions, your space and your needs that are taken into consideration. One of the goals of a professional organizer in Texas is to help you save time and energy. Tomlin recommends eliminating junk mail, junk e-mail and junk phone calls as one way to take back your own time. You can call 1-888-567-8688 to eliminate pre-approved credit card offers. You can contact the Direct Marketing Association to help end email solicitation and junk emails. You can add yourself to the Texas no call list for $2.25 to keep cold calls and telemarketers from disturbing you at dinner by calling 1-866-896-6225. A few simple steps can save you thirty to forty minutes a day. Isn't that a great investment in your life? Tonia Tomlin is also the author of Chaos 2 Calm. As a mother of identical twin girls, Tomlin shares her expertise and guidance to staying organized even with multiple children. Love To Know Cleaning would like to thank Ms. Tomlin for taking the time to share her expertise with readers.